The inspiring Petersburg artist and political activist Yelena Osipova has drawn this graffiti to commemorate the 75th anniversary of the lifting of the Siege of Leningrad during the Second World War. The piece is dedicated to her late friend Lenina Nikitina, another wonderful artist, who lived in the building on whose walls Osipova drew her work. Nikitina lost her entire family during the Siege, which lasted nearly 900 days, from September 8, 1941 to January 27, 1944. As many as a million civilians are believe to have died during the Siege. The other evening, an arts program on one of the regional German channels broadcast a segment about Daniil Granin and Ales Adamovich’s Blokadnaya kniga (Book of the Siege), which has recently been translated into German by Helmut Ettinger and Ruprecht Willnow, and published as Blockadebuch: Leningrad 1941–1944. Blokadnya kniga was translated into English by Clare Burstal and Vladimir Kisselnikov, and published in 2007 as Leningrad under Siege: Firsthand Accounts of the Ordeal. Eismont began shooting this unique picture while the Siege was still underway. It premiered a year to the day after the Siege was lifted. The Siege is shown through the eyes of two children, five-year-old Katenka and seven-year-old Nastenka. Natalya Zashchipina, who played Katenka, would go on to star in children’s films such as The Elephant and the Rope and First-Grader in the late 1940s, while Nina Ivanova, who played Nastenka, would star in Spring on Zarechnaya Street in 1956. The best film about wartime Leningrad and Leningrad during the Siege, when Baltic Skies premiered, it outraged Nikolai Chukovsky, whose novel inspired the film and who is credited as the screenwriter. The movies features a star-studded cast, including Pyotr Glevov, Mikhail Ulyanov, Mikhail Kozakov, and Rolan Bykov. The film’s young lovers were played by Oleg Borisov and Liudmila Gurchenko, who would later act in Alexei German’s war films. German considered Vengerov one of his teachers. A picture about the founding of the Frontline Youth Ensemble. In one of his final roles, Oleg Dahl played the former choreographer. The film features poems by Olga Bergholz and music by Dmitri Shostakovich. A documentary film consisting of footage shot by cameramen during the Siege, it features rare scenes, including the execution of Germans. Loznitsa added a soundtrack to the film, bringing viewers closer to the events. Less a film and more an impressive project by Sokurov, We Read the Book of the Blockade shows Petersburgers both famous and unknown reading aloud Daniil Granin and Ales Adamovich’s book, a compilation of eyewitness accounts of the Siege. The readers include actors Vladimir Retsepter and Leonid Mozgovoi, and Sokurov himself. [Posted on January 2, 2019, by Alexei Krasovsky. “Attention! This film was made without state financing or grants. The filmmakers paid for its production themselves. Please do not show Celebration without listing the information about how you can donate money to us. It is the only we can cover the costs of this film and start working on a new one. Thank you. Don’t forget to mark your contribution as a “donation” so that we’ll have any easier time making films in the future. Filmmaker Alexei Krasovsky shot this controversial, intimate, tragicomic film at his own expense and uploaded it to YouTube during the New Year holidays. The picture deals with the privileged classes during the Siege and contains transparent illusions to the present. Starring Alyona Babenko, Yan Tsapnik, and Pavel Tabakov. Written by poet and academic Polina Barskova, this book is a miscellany of strange, heterogeneous, and genre-bending texts (several stories and essays on the verge of poetry, capped off with a short, semi-absurd play) that interweave the author’s own experiences as a researcher and human being with the real stories of people during the Siege. Significant historical figures who survived the Siege (poet and literary scholar Dmitry Maximov, writer Vitaly Bianchi, playwright Yevgeny Schwartz) meet on the the pages of Living Pictures with other, unknown shades, such as the art historian Totya and the artist Moses, who made the mistake of falling for each other on the eve of the war, or six-year-old Katya, who plays a gloomy game of bouts-rimés with her mother, composing a poem about people stricken by hunger-induced dystrophy. The famous, the nameless, Barskova’s other characters, and Barskova, some of whom did not experience the Siege themselves, ring the changes on the book’s main point, as voiced by one of the characters: the Siege was a peculiar civilization with all the qualities of other human communities. This civilization did not disappear without a trace. It has germinated anew in subsequent generations, who continue to feel its icy breath. “The ethic of sympathy demands the gaze not linger on mournful scenes of human agony,” writes historian Sergey Yarov in his book, seemingly ruthlessly violating this ethic. Instead of charitably averting his gaze from the most horrific aspects of the Siege of Leningrad, Yarov peruses as keenly and closely as possible theft and deception, monstrous, incurable physical deformities and people’s aversion to them, assaults on children (it was easier to take food from them since they were weaker), indifference to the suffering and deaths of other people, willingness to endure any humiliation, the collapse of community, and cannibalism. As he plunges into the abyss of diaries, memories, and official records, uncovering truly unimaginable things, Yarov nevertheless hits upon an impeccable tone for discussing them, managing to maintain in each episode the perfect balance between scholarly scrupulousness and supreme humaneness. The relentless hunger, cold, bombings and artillery attacks, treachery of friends, and rare, miraculous instances of kindness left a deep wound in Survilo’s heart, causing her to suffer nightmares and be constantly anxious about family members during the relatively prosperous postwar years. 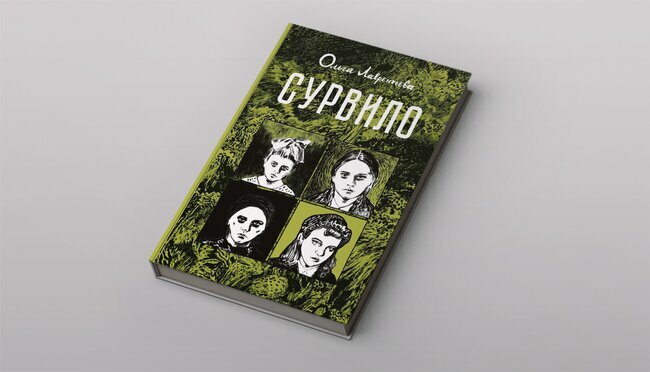 Lavrentiev uses the rather typically tragic story of one Leningrad woman as a lens through which she and her readers can look at the history of her hometown and the entire country. Survilo will be published in March 2019. Thanks to Giuliano Vivaldi for the heads-up. 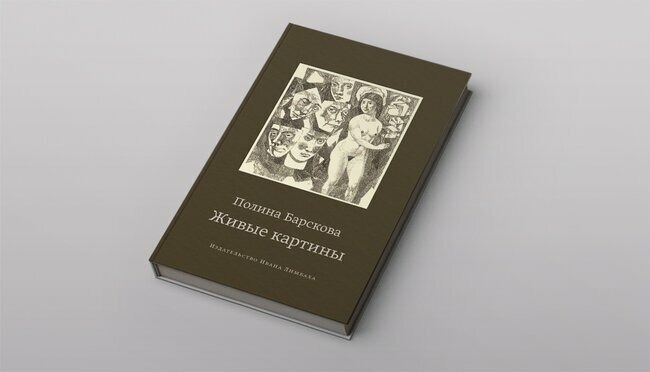 Translated by the Russian Reader. I have replaced the trailers used in the original article with full-length videos of the films themselves. Please take note of filmmaker Alexei Krasovsky’s appeal for donations. If you watch Celebration, please consider making a donation to him and his crew via Sberbank, PayPal, Yandex Money or Etherium.